Our mix design has been carefully developed to consistently maximize color quality, water repellency and strength. Jefferson Series is a durable, attractive, and load-bearing wall system solution for most of today's commercial and institutional building projects. The units can be used in single-wythe wall construction, providing initial cost savings and long-term maintenance advantages. Block USA has combined modern plant and equipment with one of the most knowledgeable and experienced production teams in the industry. In addition, their multiple plant locations are conveniently located for quick response to most job-sites in this region. 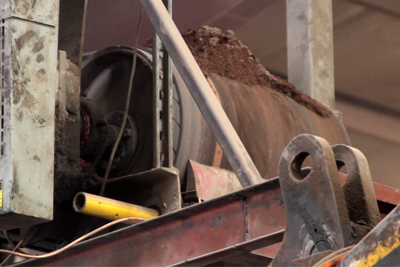 Block USA is able to ensure delivery of a consistent product that meets exacting design specifications. There's more to Block USA's architectural CMU than quality and consistency, however. They make it easy to specify and identify the Block USA architectural masonry unit with their unique system of branding and labeling. This is Block USA's assurance to you that you are getting what you have specified. It is also a statement that USA is proud of the product that your builder is about to place into the wall. 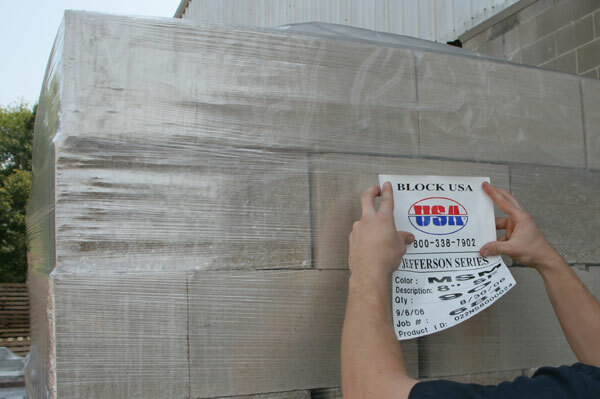 All pallets of Block USA CCMU’s are well-labeled and wrapped to minimize external water penetration. Split-Face Scored has a vertical score to create a smaller, more traditional square pattern. Deep vertical lines and natural texture of this block complement many designs.